Sports Cards Plus Store Blog: BEST PULL From 2014 CONTENDERS FOOTBALL ($130 per Box) WINS $100.00 - PICK YOUR BOX FROM THE BEST CASES IN THE HOBBY. BEST PULL From 2014 CONTENDERS FOOTBALL ($130 per Box) WINS $100.00 - PICK YOUR BOX FROM THE BEST CASES IN THE HOBBY. Call it luck, good karma, or is it a conspiracy of epic proportions? Somehow, The BEST CASES in The Hobby find their way to Sports Cards Plus, a.k.a. The Super Hit Factory. Time after time, our customers pull all kinds of amazing Super Hits which defy the odds. We have one customer who has pulled over 40 Michael Jordan Autographs from our boxes in the last two years. 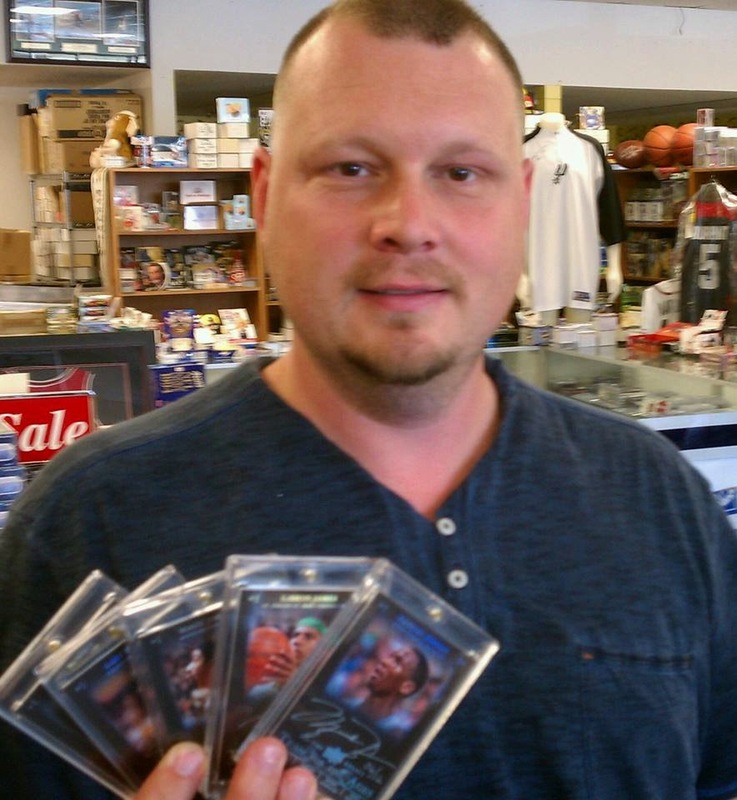 Another customer pulled THREE Michael Jordan autographs from one box of Exquisite Basketball. 1/1s, Superfractors, all kinds of amazing great hits are pulled every day. Don't be the guy who says, "That could have been my picture." 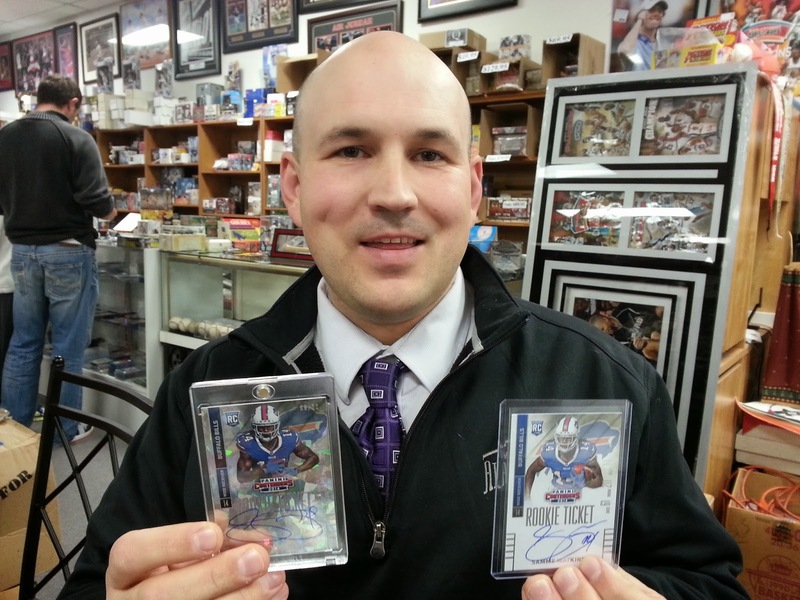 Go to Sports Cards Plus TODAY and pull your Super Hit. It's your turn. What does it cost to pick your box from The BEST CASES in The Hobby. Our prices, accross the board are the LOWEST in all of TEXAS. In many cases, our prices are the LOWEST in The Galaxy. LEAF Q Group Box Break is SATURDAY at 5:30. Spots are $67.95 and EVERY Spot gets ONE Random Card from a factory sealed box. Call Charlie at 210-524-2337 to pay for your spot. 2014 National Treasures Group Box Break is Saturday at 5:30. Eight Spots per box are $59.95 each. Every spot gets ONE Random Card from a factory sealed box. If there are nine cards in the box, the first random spot gets the first card and the last card. The HOTTEST product is 2014 Contenders Football (only $130 per box). Pick your box from The BEST CASES in The Hobby and enter our $100.00 BEST PULL Contest. And your EVERY purchase gets you a FREE entry into our $500.00 Drawing!